Joseph M. Kelly, Ph.D., J.D., is a Professor of Business Law at State College at Buffalo, and an associate of Catania & Ehrlich in New Jersey, specializing in gaming matters. He is licensed to practice law in Nevada. Professor Kelly is co-editor of the Gaming Law Review and Economics, a leading gaming law journal. He has spoken at online gaming symposiums at the following law schools: Cardozo. Chapman,Villanova, Florida Dep’t of Regulation/University of Miami and Harvard. 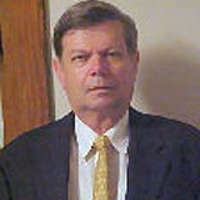 His law review publications have been cited as authority by ten U.S federal and state courts. Articles published by Professor Kelly regarding Internet gambling law have been cited in the Report of the British Parliament by the Secretary of State of Culture Media and Sport and by the California Gambling Control Commission (2006). Professor Kelly has been used as an expert witness for gaming companies, the Virgin Islands Casino Control Commission, the South African Parliamentary Committee on Trade and Industry, Antigua and Barbuda and as an expert on poker in the trial of R v Kelly (Gutshot)(2007) in Crown Court (London), UK . He was also the major speaker on poker law at the Barcelona conference of the International Association of Gaming Regulators in 2006. In 2015, he spoke on online gaming topics at conferences organized by Morgan Stanley iGaming, the American Gaming Association and the American Bar Association. The U.S Federal Government said that it's up to individual states to regulate internet gambling and that it will help balance state budgets. From a practical point of view, don't you think that it would be more feasible if the Federal Government regulates it on a national level? In December 2011, the Justice Department said the 1961 Wire Act only applied to sports betting. Most gaming experts have opined that the 2006 Unlawful Internet Gambling Enforcement Act did not create new gambling offenses but only increased penalties on illegal online gambling operators and on financial transaction providers. This 2011 letter allowed state online legalized gambling, including state online lottery gambling. Federal regulation of gambling (internet or land-based) would be a disaster, except for the Indian Gaming Regulatory Act. The states have generally done an excellent job to ensure gambling operators are suitable and solvent. Online gambling revenues have not met projections, largely due to the difficulty of getting credit card companies to participate in online gambling. This is because they want to avoid a "gray" area of law. Do you believe that igaming expansions are de-facto taxes imposed on self-selected segments of the population and that America has become a nation of gamblers? State licensed online gaming operators expect to pay taxes. If the taxes are too high, gamblers will play at other jurisdictions. It is better that the taxes go to the states rather than illegal gambling operators such as "Mickey the Ant" or "Tony the flea". Clive Hamilton and Richard Denniss speculate that U.S society is nearing a tipping point on conspicuous consumption which led to the coining of the term 'affluenza'. With reference to cybergambling, do you agree with their assessment? The Australians' 2005 projections have not been realized in the U.S.
Sheldon Adelson opposes gambling over the Internet in all its formats. He has spent millions on anti-cybergambling campaigns and bankrolled many politicians' campaigns in the hope that it will be 'banished'. Don't you think he's a bit presumptuous since he's made billions of dollars from his land-casinos? I disagree with the Restoration of American's Wire Act (RAWA), but Sheldon Adelson's positions are well thought out. Two of RAWA's Senate supporters, Lindsey Graham and Diane Feinstein, are the two politicians I most admire. As co-editor of Gaming Law Review and Economics, we hope to publish a scholarly article supporting RAWA. Sheldon Aldelson, along with Steve Wynn and some other casino owners, really believe online gambling cannot be successfully regulated. We respectfully agree to disagree. Only three U.S States: Delaware, Nevada and New Jersey regulated online gambling to date. Will other U.S states soon follow suit? Blanche Lincoln (former U.S senator for Arkansas) categorically stated that Internet gambling is a proven 'consistent fiscal loser' in these three states. Do you agree with her statement? Delaware and New Jersey have legalized online gambling and Nevada has legalized online poker. Results have not met expectations. However, while 2014 was a terrible year for New Jersey casinos, online gambling had modest positive results. The real problem is to get financial transaction providers to accept online gaming. Also none of the large population states has legalized online gambling although Pennsylvania might legalize online poker or online casino gambling. Fantasy Sports, especially daily games, have become especially lucrative. Fantasy Sports is regulated only in Montana and not prohibited by statute in any state. Many U.S states are looking for alternative ways to generate additional income. If properly regulated, internet gambling can help alleviate dwindling state coffers? Those in favor of it said it will help towards job creation whilst other say it's really a ''job killer''. I'd appreciate your point of view on this topic? Online gambling revenues will help state revenues at the expense of offshore unregulated jurisdictions. It will create "technical" jobs. Few experts believe it will "cannibalize" land based gambling. In your expert option, what's the distinct advantage cybergambling holds over traditional gambling? I'd like to circle back to Blanche Lincoln. She says that the technology does not exist yet to prevent minors from gaining access with a parents' credit card to an online casino. What's your take on this? Online gambling appeals to a different type of gambler, such as somebody who wants to wager at an unusual time or without travelling. When properly regulated, online gambling can prevent minors better than a land based casino and can minimize money laundering better than a land-based casino. A computer can better detect cheating in an online poker game. Now a personal question. Have you ever placed the occasional bet at your local casino and on which game/s was it? Do you attend any conferences on gambling, what are the pressing issues normally discussed and where do you see internet gambling regulation in another 5 year's in the world's greatest economy? I am not a gambler. I recently spoke on online gambling regulation at a Morgan Stanley conference (March 2015), chaired an igaming conference (May 2015, NYC) and was one of ten academics invited to speak (July 2015) at the first Academic's forum sponsored by the American Gaming Association. I will be speaking on online gaming before an American Bar Association committee on September 18, 2015 in Chicago. Online gambling is the major or one of the major issues at each conference. Five year projections are always dangerous, but I would guess that over a dozen states will have legalized online gambling perhaps with interstate or international compacts. Can you tell us a bit more about California's current stance toward internet gambling and American Indian tribe the Alturas Rancheria Tribe which aims to launch the country's first tribal online gambling operation? California, the state with the largest population, for many years has attempted to legalize online poker. Its attempts can best be described as a circular firing squad. This is because the tribes and legal card clubs disagree as to whether to include state horse racing operators and whether to include a "bad actors" clause that would exclude PokerStars. Native-American online gambling has been a disappointment. When the Iipay Nation attempted to launch online intrastate bingo, they were stopped by the State of California and the U.S. government. Have you written any papers on internet gambling of late, if yes can you please tell us more about it? My recent scholarly papers on online gambling are available on the website of Catania & Ehrlich or Gaming Law Review and Economics. What do you consider you greatest achievement? What advice would you give to the current legislators of cybergambling in the United States? My greatest achievement was to help make Gaming Law Review and Economics become the journal where scholarly articles have been most cited in U.S. federal and state court decisions. Also, I have been happy to work with Catania & Ehrlich to develop online gaming regulations for countries and provinces throughout the world. I would remind legislators of the failed prohibition attempts of the 1920's. Unless online gambling is carefully regulated, many players will go to illegal sites that will enrich Mickey the Ant, the protégé of Al Capone. When you look back upon your life. Is there anything you would have done differently and how would you like to be remembered?